Good Night Birds features hummingbirds, woodpeckers, peacocks, chickens, ducks, macaws, toucans, cockatoos, hawks, owls, penguins, puffins, eagles, robins, blue jays, and more. 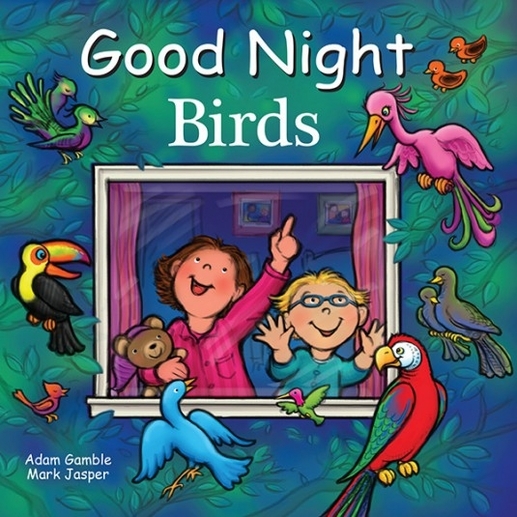 In this charming and educational board book, young readers explore the fascinating world of birds while learning bird names and exploring different types of habitats. No feather has been left unturned!